So much of the romantic comedy genre is about people stumbling headfirst into unexpected encounters with people who upend their worldview, helping them shake off the fetters of the past and discover not just love but also a new lease on life. And let’s be honest: Ninety percent of the time, it’s a sassy, unpredictable woman shaking up a stolid guy, the kind of trope that excellent films like Something Wild helped enshrine in the popular consciousness. So much so, it became an archetype unto itself: the manic pixie dream girl, a term birthed on this very site. So it was only a matter of time before more ambitious filmmakers began to deconstruct the concept, especially once it hit its zenith (nadir?) in the zeitgeist with movies like Garden State. Among the films looking for a critical way to engage with the concept, Ruby Sparks is perhaps the most successful, simply because it doesn’t play coy with its intentions. The movie sets out to deconstruct not just the character of the MPDG type but also the less-than-harmless ideology behind such a ploy. It’s a critique both of lazy filmmaking and the point of view that leads to the creation of these guileless fictional nymphs who long for nothing more than to be the muse of a talented man. Along the way, however, it still cleverly captures the heady feeling of new love inherent in the rom-com genre, making it an exemplar of the form—right up to the moment it starts to break down. Written by Zoe Kazan, who co-stars with her real-life partner, Paul Dano, the film follows acclaimed young author Calvin (Dano), stuck in a web of writer’s block and isolation, unable to move forward after the runaway success of his debut novel. Calvin channels his frustration into the writing of a character he envisions as the ideal woman for him, and is shocked when the eponymous woman suddenly (in a bit of magical realism wisely left unexplained) appears in the flesh, convinced the two are in a relationship. It would seem to be a dream ending—until Ruby starts to challenge his assumptions, growing and becoming a different person than the one who first appeared in his life. In a desperate effort to keep things as he wants them, Calvin begins to rewrite her persona on the page, over and over, until the situation culminates in a truly unsettling display of misogynist aggression. It may not make for the grittiest indie vibe, but one of the smarter creative decisions for the project was hiring directors Jonathan Dayton and Valerie Faris of the feel-good Little Miss Sunshine. The pair’s unabashedly commercial sensibilities help coat the film’s pitch-black perspective on male artistic entitlement in a candy-coated vibe of rom-com sunniness, the better to help the bitter pill of gendered disenchantment in arrested-development assholes like Calvin go down more smoothly with audiences not looking to be challenged too harshly in their expectations. Indeed, it’s possible to argue that the film’s redemptive conclusion masks too much of the ugly truth about the pervasiveness of such quietly manipulative male tendencies in American culture. But the genially twee atmosphere—aided by strong supporting turns from the likes of Chris Messina and Annette Bening—is a clever counterbalance to the discomfiting message of the film: namely, that men’s desire to create goes a little too readily with the desire to control. At the time of its release, the dissonance between those contrasting tones sometimes felt a little off. In the wake of a post-#MeToo world, in which we are having to reckon with an entire paradigm shift of challenging behavioral norms in uncomfortable but crucial ways, the contradistinction feels positively prescient. 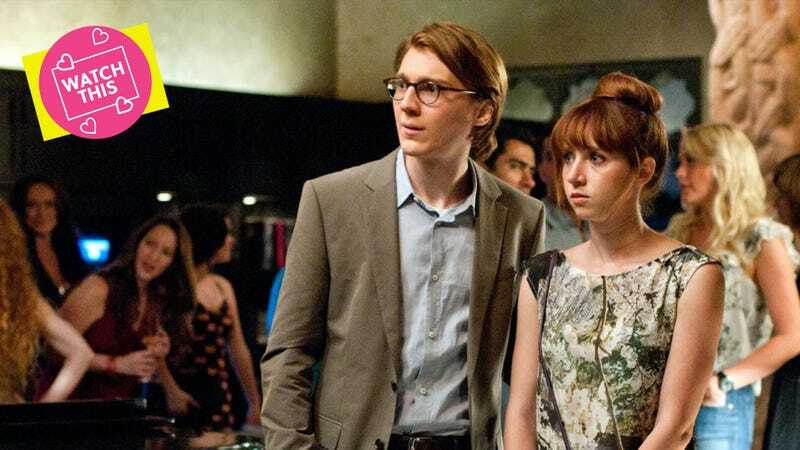 Availability: Ruby Sparks is available to rent or purchase through the major digital services, or can be obtained on DVD or Blu-ray from Amazon or your local video store/library.